This recipe came out when i staring at leftover french toast mixture, bits of Valhorna chocs and my Nespresso machine just next to it. This dessert is super quick and tastes much more impressive than a 30 second endeavor. 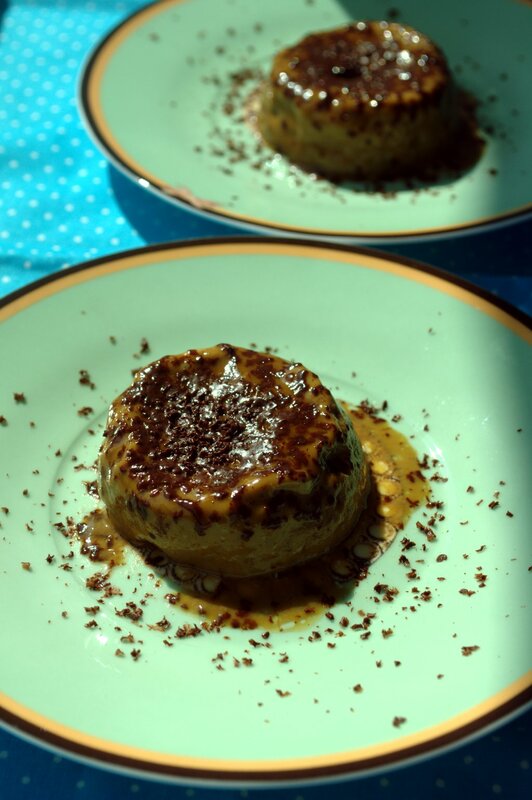 This entry was posted in DESSERTS (Sweet Stuff) and tagged Chocolate, custard, espresso, Nespresso, pudding, quick recipe, Valhorna by Whisky Uncle. Bookmark the permalink.